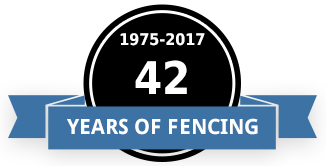 We started our company in 1975, selling only split rail fencing as a part time business, delivering material from the family pickup truck. 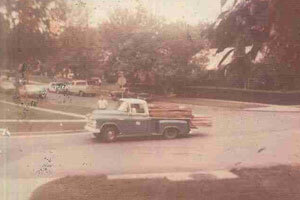 Occasionally, we would take a trailer load of material to a neighborhood we had advertised in and sell material off the trailer. This took off so fast, we started offering installation. Thus, RUSTIC FENCE!! For several years, split rail fence was the only type we sold and installed. Eventually, we expanded and could offer more styles of fencing to both residential and commercial. Here we are 41 years later and doing it all! Family owned and operated and centrally located in Howard County, we make it our mission to provide the finest fence materials at a great value to our clients. We’ve built our customer base through hard work and determination, something which has allowed us to become the company we are today. We take great pride in providing you with top quality service and promise your complete satisfaction when choosing us for all of your residential and commercial fencing needs. Our company has developed and focuses on customer service practices because we believe this approach achieves the best results for our clients. When you’ve decided on the type of fencing installation that you want to purchase, we’ll do our best to assist you in finding your property lines if you’re unsure where they are. In addition, if a building permit is required, we can handle getting it for you if you prefer. Rustic Fence will notify Miss Utilities before digging as required. We always enjoy hearing from our customers. Time and again, we hear the words “courteous and caring” from our customers. We rely on our customers to spread the good word about our services. After all, a client can truly speak with knowledge and authority about our credentials and performance. Rustic Fence, Inc. has extensive knowledge and experience with qualified staff and installation crews dedicated to the diverse needs of our customers. We’re experienced working with a variety of customers from homeowners to municipalities to major area companies and provide fencing products and installation services for residential, commercial, athletic facilities and fields and farm and ranch. We also offer material sales and snow plowing services. We guarantee the best quality products for our fence and deck designs at competitive prices giving you superior value. We purchase directly from selected lumber mills which enables us to maintain high grading standards. Rustic Fence, Inc. is fully licensed, insured and bonded in our service area. We’re a member of the Better Business Bureau (BBB) and have been an accredited business since July 2004.